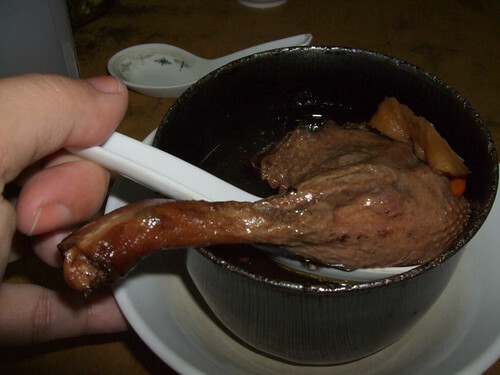 I posted about my trip to Bidor Pun Chun duck noodle coffeeshop in Perak. I said the duck noodle is nothing special and the wantan mee is also so-so only. I am surprised that other food bloggers also agree that the place is over rated. It is so popular and was packed with customers. Yet, all they offer is some lousy looking economy rice stall and a duck noodle stall. Plus some chicken biscuits. BTW, the chicken biscuit minus the lardy bits is not nice also. It is no longer crispy and oozing with lard. Just hard pieces of biscuits with strong flavour of red fermented bean cake (ang tau joo). 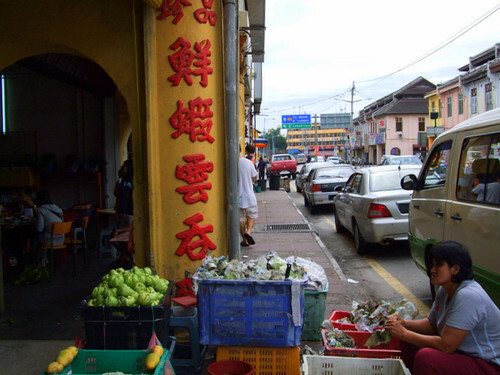 However, if you are a city boy, then, you may like the rustic feel of a small pekan like Bidor where people sell fruits like fresh guavas, jambu air and etc by the roadside. When I was there, they also sell rambutans. I thought it is not rambutan season at the moment? Now, I am much smarter and will not believe food blogers 100%. Ten may write that the foods are so yummy, so nice, so sedap, so great but all I need is one to tell me the truth. hangjebat – Yakah? Ok, next time I go try there and see. Please, when come to Bidor, DON’T EVER GO THERE!!! I have tried all the rest in bidor. i travel between KL & Ipoh regularly. If you take away the price factor, Pun Chan’s wantan mee is still the best of the lot. The mee itself has texture, is springy and the shredded chicken comes in a rich gravy with mushrooms and meat. The wantan is one whole medium surprisingly fresh prawn. It costs rm 6.50 for shredded chicken plus wantan. Compare this against one famous wantan mee in Sunway Lagoon – rm 8.80 for a listless flat tasting wantan mee (supposedly made inhouse with duck eggs). Sufficient duck eggs will give the springy texture to the mee.